Access actionable guides, best practices and data sets. 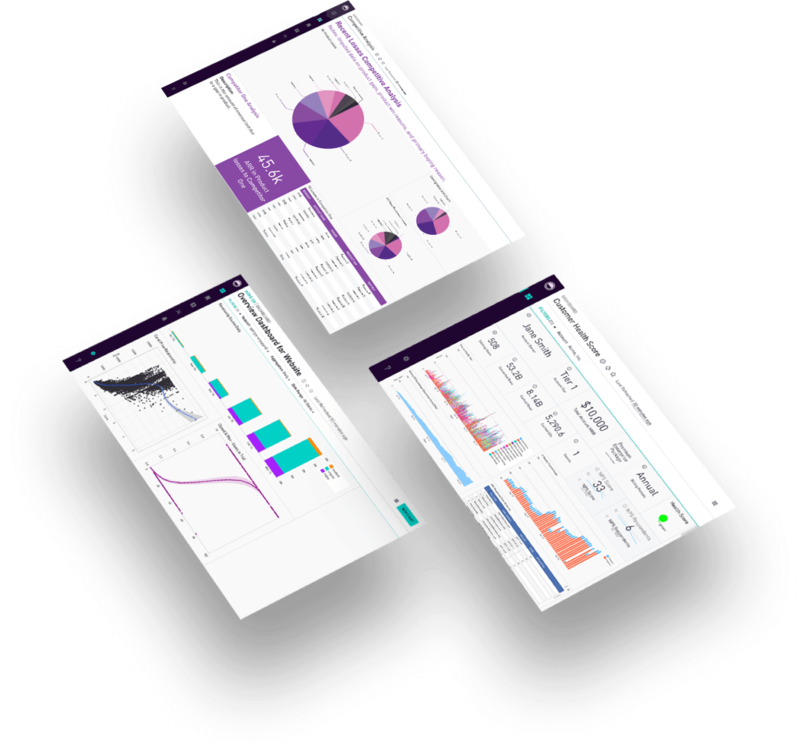 Embedded dashboards go beyond traditional data delivery by allowing you to provide always-current data delivered via websites, products or other everyday applications like Salesforce, Zendesk or Sharepoint. As Product Management becomes more data-driven, we’re seeing that product managers are increasingly using our BI and analytics platform to understand user behavior and build better, sticker products. We dug into our data to see precisely how product managers are using data, and what data they are finding useful. This guide discusses strategies product managers can use to align cross-team collaboration around high-level metrics. Periscope Data's product managers also share personal stories about how they use data to make better product decisions, and the dashboards they need to dive into product data and answer questions. Businesses today recognize that data can be a strategic edge to outpace their competitors. However, when companies look into their data for insights, many struggle to unlock the potential due to siloed capabilities, disconnected data and platform limits. In this report, Forrester evaluates the modern data landscape and explores ways to overcome these challenges. The biggest challenge for modern companies is finding a way to analyze massive quantities of data and quickly transform the insights into business decisions. This guide looks at six Periscope Data customers from different stages of data maturity, examining the questions that each is answering with data and tracking the outcomes of their data-driven decisions. In this guide, you’ll find specific details about some of Periscope Data’s most important features, as well as context about how customers are using them to get ahead of their competition. You’ll also find a few proactive business cases you can make and responses to common objections you might run into. At every step, you’ll also find quotes and case studies from customers with experience getting value from our platform. Before you make a decision about which data analytics tool is right for your organization, there are a lot of factors to consider. In this buyers’ guide, you’ll learn more about the conversations you need to have to understand your business needs, evaluate available options and set expectations for performance. It’s a great first step to making the most of your company’s valuable business data. In this guide, you’ll learn some simple tips for creating data analytics infrastructure using SQL. We’ll go through an explanation of some foundational concepts you’ll need to manipulate your data and make it valuable, with useful SQL code examples at every step along the way. These fundamentals can then be used as the building blocks for a solid analytical base. With Periscope Data discovery for business, citizen data scientists from a range of business teams will be given direct access to datasets to look for new insights. To help on this search, the Periscope team has compiled some tips to serve as a guide for the exploration, charting and storytelling process. Citizen data scientists can use this information as a primer for the analytical process inside Periscope Data and a set of instructions to get the most valuable discoveries from their dives into data. 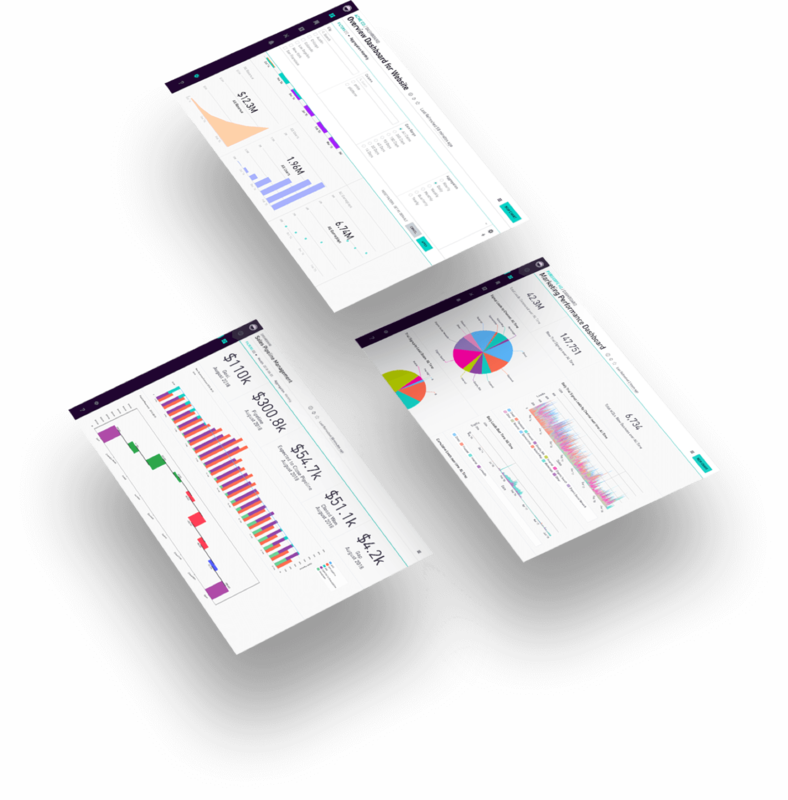 Whether you make dashboards or make business decisions, Periscope Data is the right BI platform for you. It’s the fastest, most powerful, most flexible modern data tool. This guide details our company philosophy, our innovative features, a few of the best reasons to make the switch to Periscope Data and what customers are saying about our platform. With new support for R and Python in Periscope, data teams can perform a range of new analyses that will translate into new value for their organizations. These advanced languages open up new possibilities such as machine learning, natural language processing, advanced visualizations and prompt data cleaning. With support for these languages, data teams can explore answers to questions that couldn’t even be asked using SQL alone. At Periscope Data we’ve tried all kinds of databases in search of speed, from custom hardware to cloud storage. Time and time again, Amazon Redshift has come out on top. Download this 17-page guide and learn how to get started with Redshift. As an analyst, your work is important! Slow queries can keep you from efficiently surfacing and acting on insights. This could be delaying better business outcomes, as well as your professional advancement. Download this guide to sharpen your skills and speed up your analyses. As one of the most data-heavy industries, healthcare is in a unique position to generate value from a wide and deep pool of data available for analysis. With customers engaging in a number of different predictive modeling use cases, a Unified Data Platform like Periscope’s is a wonderful tool for utilizing advanced analytics to explore data and uncover insights that were previously hidden, and ultimately improve patient’s health. Learn about the advantages that come with bringing your data onto one platform in this on-demand webinar, and get a glimpse into Periscope Data’s vision for a unified data platform. Follow along with Periscope Data’s Head of Growth Marketing and our Head of Sales Engineering to get a full picture of how a data company handles marketing metrics — from the perspective of both the data analyst and the marketing professional. As companies become more data driven, it’s not enough to deliver the same standard SQL queries. Instead, data teams today are transforming SQL results into models to deliver more value to their businesses. But making that jump is tough, it’s hard to determine where to get started in the complex field of modeling and regression analysis. The Periscope Data community has been buzzing with requests to demystify Python and R modeling so data professionals can boost their skill set. Get started by creating a linear regression model with Neha Kumar, a customer solutions engineer at Periscope Data, and start bringing new analytics value to your business immediately. To create a dashboard that can be used as single source of truth, there are many steps that need to be taken. Join Christine Quan and Caitlan Yu, two solutions engineers at Periscope Data, as they discuss the process to create this common data resource. In this webinar, Greg Strickland, COO at Periscope Data, as he covers as an executive he works with the data team to create dashboards.